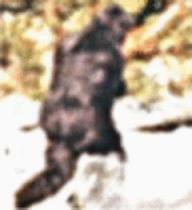 Today, October 20, 2015, is the 48th anniversary of the filming of an alleged Bigfoot at Bluff Creek, California. The result is called the “Patterson-Gimlin Bigfoot Film,” or “Footage,” in honor of Roger Patterson (who died in 1972) and Robert “Bob” Gimlin (who is still alive). I have done research on the “anniversary syndrome” and always wonder who might pass away on this day. Dates have a strong unconscious impact on people. Let me give some instances. 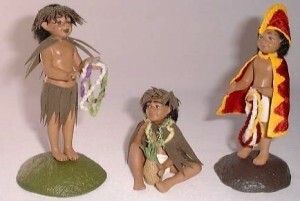 Someday on a future December 7th, people will think about Menehunes and Hawaii, joyfully. But 1941 was not that long ago to some who are still alive. Believe it or not, almost the same kind and milder emotions are stirred in relationship to cryptozoology anniversaries, on many different levels, of course. Think about it. August 15th, 2008. If you remember the date, it stirs anger. That was “Bigfoot Friday,” when Tom Biscardi and two gentlemen from Georgia held their news conference about what turned out to be a Bigfoot costume in an ice chest. That was a dark Friday in Bigfoot history. There have been happier dates to remember in Bigfootery. Like today’s. Today’s recalled Bigfoot film is to cryptozoology/hominology what the Zapruder Film is to assassination research. It has been analyzed deeply. The Patterson-Gimlin Bigfoot film anniversary date of October 20, 1967 is certainly the clearest example of a significant date in the field. Not a year goes by when it is not remembered in the field. I continue to be glad no one in Bigfoot studies or hominology died in the days leading up to October 20th, or on the date itself, every year. But strangely, there has been a direct sync, two prominent individuals in the Skeptical community have died on October 20th. 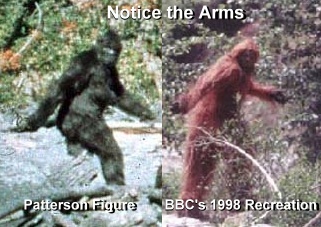 On the 45th anniversary of the Patterson-Gimlin Bigfoot film footage being shot, on October 20th, ”two pillars in skepticism” died, according to Smithsonian.com and other news sources. Leon Jaroff died at the age of 85 on Saturday, October 20, 2012, and Paul Kurtz died at 86, according to the New York Times, passing away the same day on October 20th. 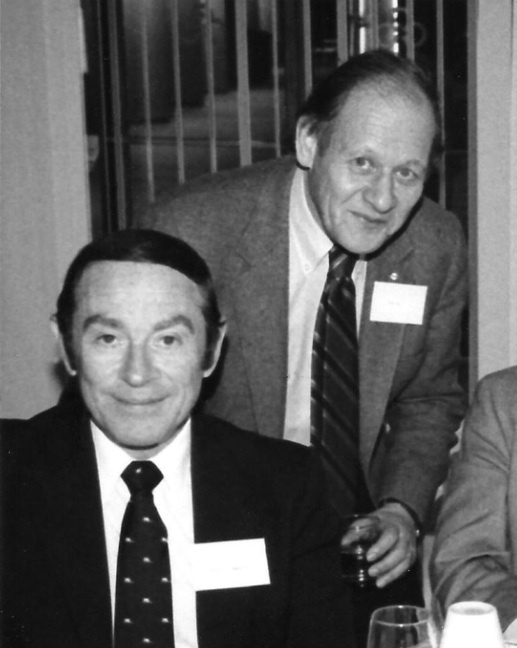 At the Stanford 1984 CSICOP Conference, left to right, Leon Jaroff and Paul Kurtz. Wikipedia. Leon Jaroff wrote “The Skeptical Eye” column for Time. Paul Kurtz who died October 20, 2012, was a prominent American debunker and skeptic. 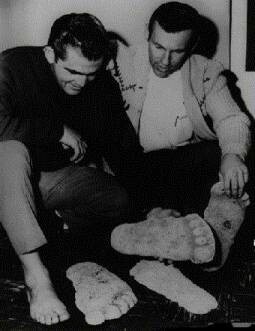 Kurtz founded the publishing house Prometheus Books (which published such books as Greg Long’s The Making of Bigfoot and Joe Nickell’s Tracking the Man-Beasts) in 1969. He was also the founder and past chairman of the Committee for Skeptical Inquiry [formerly the Committee for the Scientific Investigation of Claims of the Paranormal (CSICOP)], the Council for Secular Humanism, and the Center for Inquiry. In 1976, CSICOP started Skeptical Inquirer, its official journal. Like Martin Gardner (October 21, 1914 – May 22, 2010), Carl Sagan (November 9, 1934 – December 20, 1996), Isaac Asimov (circa January 2, 1920 – April 6, 1992), James Randi (b. August 7, 1928), Ray Hyman (b. June 23, 1928) and others, Kurtz popularized debunkery and skeptical thinking regarding unexplained studies, including against cryptozoology. Concerning the founding of the modern skeptical movement, Ray Hyman states that in 1972, he, along with James Randi and Martin Gardner, wanted to form a skeptical group called S.I.R. (Sanity In Research). The three of them felt they had no administration experience, saying “we just had good ideas,” and were soon joined by Marcello Truzzi (September 6, 1935 – February 2, 2003) who provided structure for the group. Truzzi involved Paul Kurtz and they together formed CSICOP in 1976. The Herald Tribune credits Jaroff and Kurtz as being involved in the early development of CSICOP. 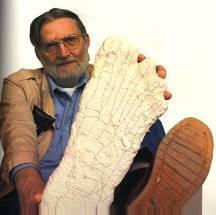 Bigfooters have died on other anniversaries. Grover Krantz, you will recall, left us on Valentine’s Day. Krantz died on February 14, 2002 (see obituary). Intriguingly, Roger Patterson was born on Valentine’s Day, February 14, 1933. He died on January 15, 1972. Robert “Bob” Gimlin was born on October 18 in 1931. In 1967, having just turned 36, two days later on October 20th, his unexpected moment in history would occur. Dmitri Bayanov (living), John Green (living), Grover Krantz (deceased), and George Haas (deceased). As many of you know, an area of academic research I’ve conducted involves the sociological and historical impact and the mystery of death and dying among humans. I’ve done work and written books on suicides, suicide prevention, murder-suicide timing, going postal events, and school shootings. I have penned obituaries to celebrate life, to avoid dwelling on the type or moment of death, but instead to reinforce the remembering of a person’s entire legacy. There are well-known but little-discussed syndromes that involve “when” people die that have always intrigued me: the “Anniversary” and the “Birthday” reactions and syndromes, for example. It is a matter of native folk knowledge that some people appear to wait until their birthdays to die on that date or immediately afterward. Research has proven it has a basis in fact. People seem to wait for holidays or anniversaries that are important to them, and pass away near those dates. As with most research passions, this study touches me personally and my sense of it began long ago. Sometimes one learns best by taking to heart lessons taught early on, even before the research and reasoning for “why” was there. For me, it began with a story my mother told me that happened to her during her own childhood and was brought home to me when I was a man. Synchromysticism and synchronicities were part of my life, as I was growing up, simply and concretely, because my mother’s stories linked dates to important events. My Cherokee grandmother Nellie Gray was killed by her second (then estranged) husband, my mother’s stepfather, in a murder-suicide on Valentine’s Day, 1940. Besides it being Valentine’s Day, it was only eleven years earlier in 1929 that the Valentine’s Day Massacre occurred. Like my family’s tragedy, the Massacre had happened in Illinois, and it remained a big media anniversary back then. My father, a Navy veteran of the Pacific campaign in World War II, died after suffering with lung cancer for three years on December 8, 1985, in Illinois, shortly after Pearl Harbor Day dawned in Hawaii. 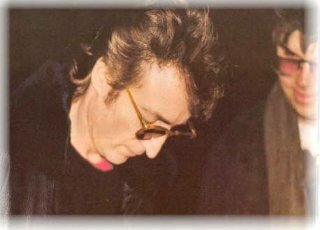 December 8, that year, was also the 5th anniversary of John Lennon’s assassination. Every year, when people talk of Lennon’s death, I can hardly escape the fact that my father died five years to the day after Lennon, whose music, of course, meant a great deal to me and my fellow college generation. It is true that you can find memorable events that have happened on any date on the calendar, but it’s a different matter when the historic incidents are especially significant to the people dying. These syncs are worthy of noting and pondering. There is a commonly held belief that people die more around dates that they associate with loved ones passing or near certain holidays. Some of the statistics prove true – there are more deaths around Christmas (for Westerners) and just after Chinese New Year’s (for Chinese). People seem to be able to time their deaths – extending them slightly to make it to a holiday, birthday or other event. If this is related to birthdays, where people actually are able to stem the tide of death until they reach their birthdays or important dates, you can see how it interrelates with the “anniversary reaction.” I am always naturally worried for some older Bigfooters around the Patterson-Gimlin film’s anniversary. I wondered if anyone tied to the Bigfoot field would key in, psychologically, to October 20th, this year, once again, and wait to die near this milestone date.